FREDERICK, Md. — Sometimes favorite flicks spark crazy ideas that become annual traditions. Behold, the second annual “It’s a Wonderful Walk” in Frederick, Maryland. 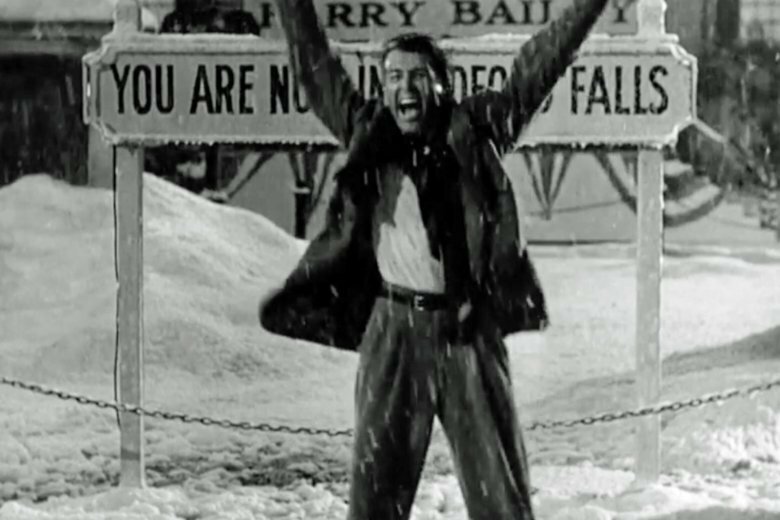 The event begins with a pair of free screenings of Frank Capra’s holiday classic “It’s a Wonderful Life” (1946) at the historic Weinberg Center at 3 p.m. and 7 p.m. Saturday, followed by fans gathering across from the theater to shout holiday cheer during a stroll down Patrick Street and Market Street. Currently, 1,900 people are “interested” on Facebook and 159 are confirmed to attend, a huge spike from the 50 people who showed up on short notice last year the week of its invention. So, I called up the Weinberg, which was already planning a free screening of the movie about a man who’s given the magical gift of seeing all of the lives he has touched throughout his life. It will be extra nostalgic watching such a classic film in such a historic theater. Originally called the Tivoli Theatre, the venue opened during the Roaring ’20s on Dec. 23, 1926. Sadly, it endured massive flooding in 1976, but reopened in 1978 as the Weinberg Center for the Arts. 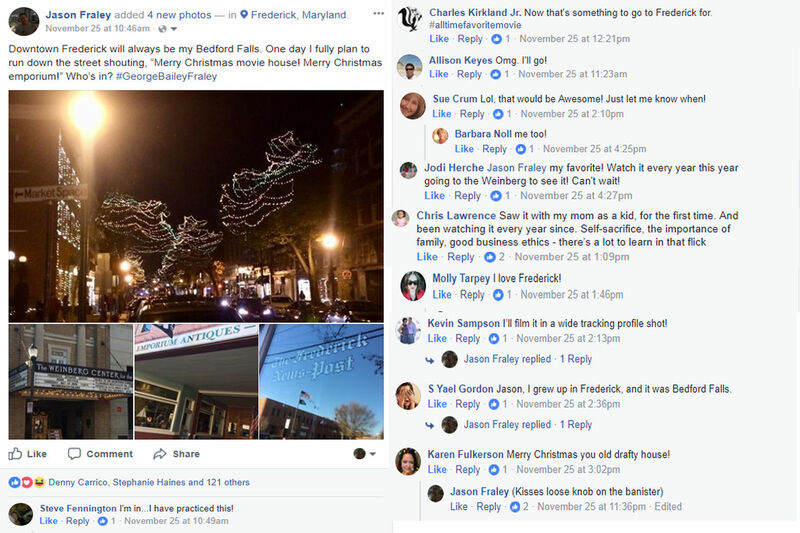 After the Weinberg agreed to help, I next reached out to the Downtown Frederick Partnership (DFP), which was founded in 1990 to preserve, promote and revitalize the downtown area. 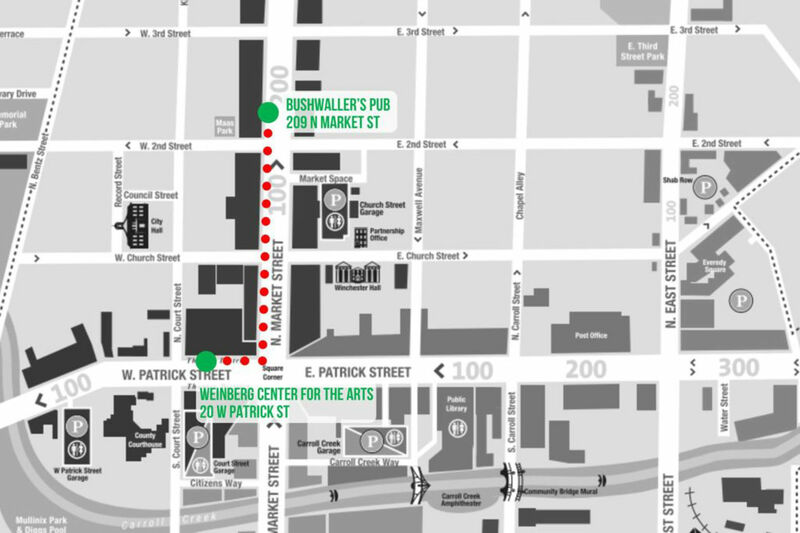 The “Wonderful Walk” event begins around 10 p.m. immediately after the second screening. As we walk the route, participants can shout holiday cheer to local businesses, including a movie house (“Merry Christmas movie house!”), emporium (“Merry Christmas emporium!”) and various stores and banks (“Merry Christmas you wonderful old building and loan!”). In the interfaith spirit of the film’s sponsor, the Religious Coalition for Emergency Human Needs, feel free to shout “Merry Christmas,” “Happy Hanukkah,” “Happy Holidays,” or whatever good wishes you like. It’s designed as an inclusive event to bring folks together. “In these times, whenever we can have a feel-good moment, we ought to grab it,” Healey said. The walk will culminate at Bushwaller’s pub for food, drinks, music, mingling and maybe, just maybe, a community sing-a-long to “Auld Lang Syne” — just like the inspirational final scene. It’s a love note to a city that was once a best-kept secret, but is now a hot-spot destination.